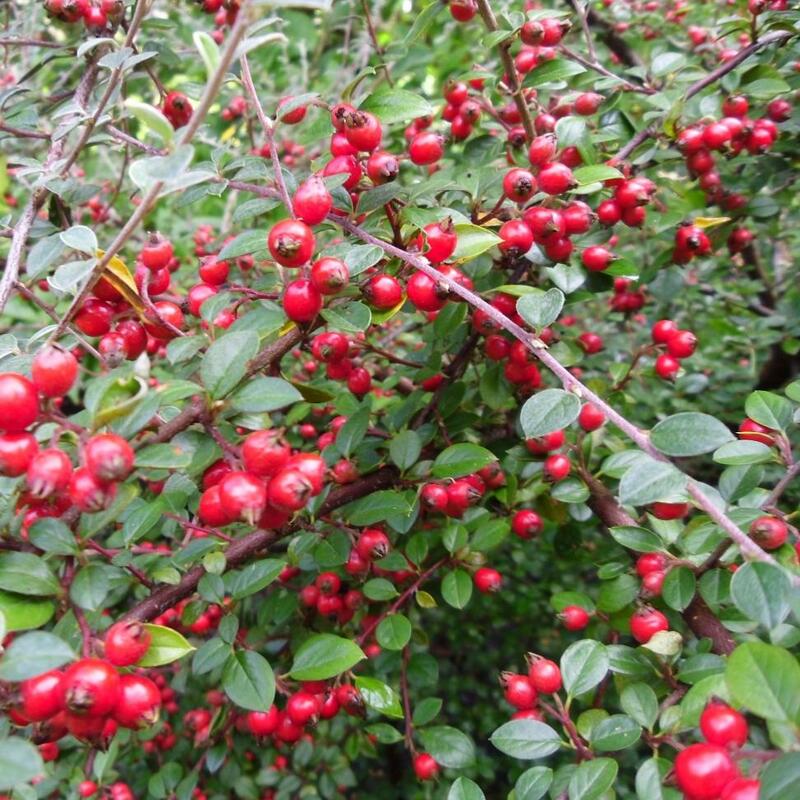 Cotoneaster amoenus– ‘Beautiful Cotoneaster’ is a very attractive densely branched evergreen bush of low spreading habit growing eventually up to 1.5 metres high. The young shoots are slender but rigid and slightly pendulous and felted with silvery wool to start with. The silvery leaves, intensely so whilst young are oval or ovate, tapered about equally to both ends, terminated by a fine point. 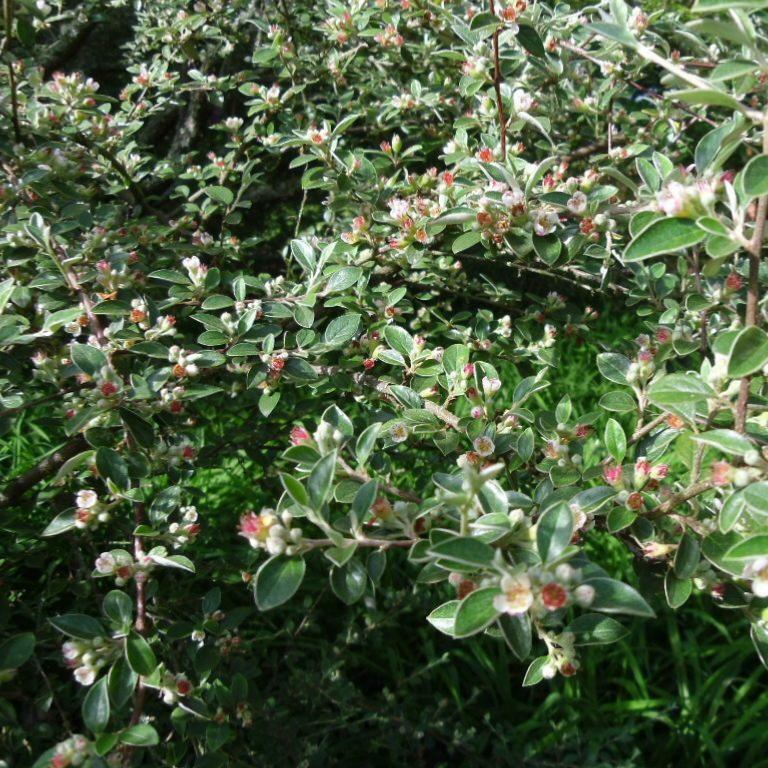 Flowers are small red-pink in bud opening white, borne in six to ten flowered clusters. 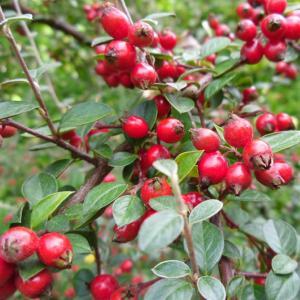 The spectacular late fruit is dull red turning bright cardinal red by November,roundish in shape with prominent calyx remaining giving the fruit a dark eye. Fruit is packed in umbel-like clusters all along the growths of the previous year. 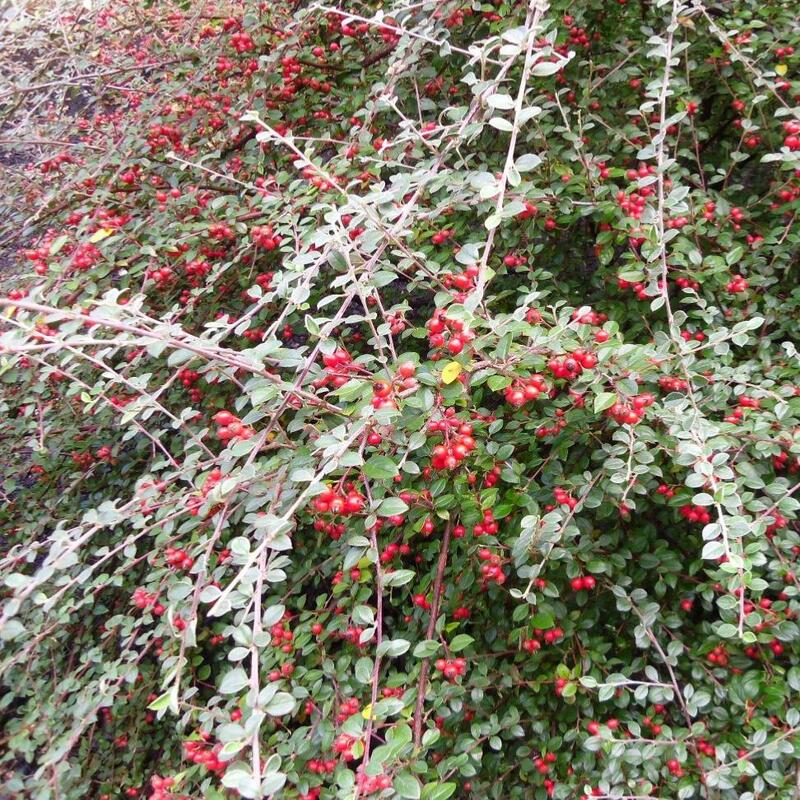 Cotoneaster amoenus is a native of S.E. Yunnan, China;introduced by Ernest (Chinese) Wilson in 1899 to the Veitch’s Coombe Wood nursery. 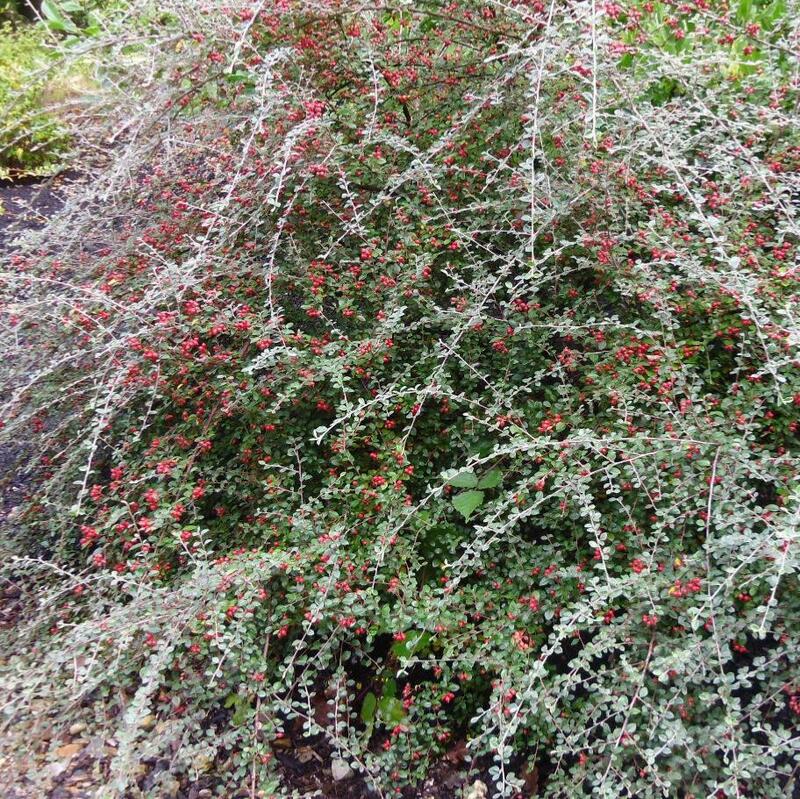 It is most closely related to Cotoneaster franchetii among the older introduced species, but is much smaller and stiffer in habit, the leaves also much smaller. The fruits are smaller, richer red never orange and persist longer, often well into the New Year. This is one of the few species introduced by Ernest Wilson from Yunnan. Wilson had arrived in China for the first time in 1899 and before proceeding to Hupei he had paid a visit to South Yunnan to seek the advice and guidance of Augustine Henry, who was then stationed there. Seeds of Cotoneaster amoenus and Cotoneaster harrovianus, and a few others, were collected during this very visit, which was to be the prelude to his many fruitful journeys in Hupei and Szechuan.